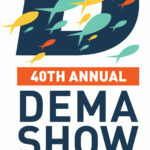 Reef & Rainforest is gearing up for the DEMA show 2016. DEMA is the scuba diving industries convention where we meet with many of our wonderful suppliers, dive shop owners and instructors. It is where all the business of diving takes place for the year. Stay tuned for any new and exciting developments in scuba diving.